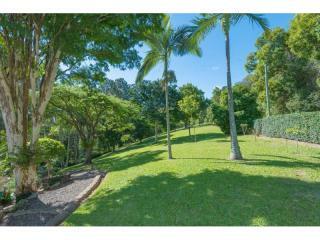 Looking for a house where there's nothing to do but watch the birds in the orange-blossomed poinciana trees? 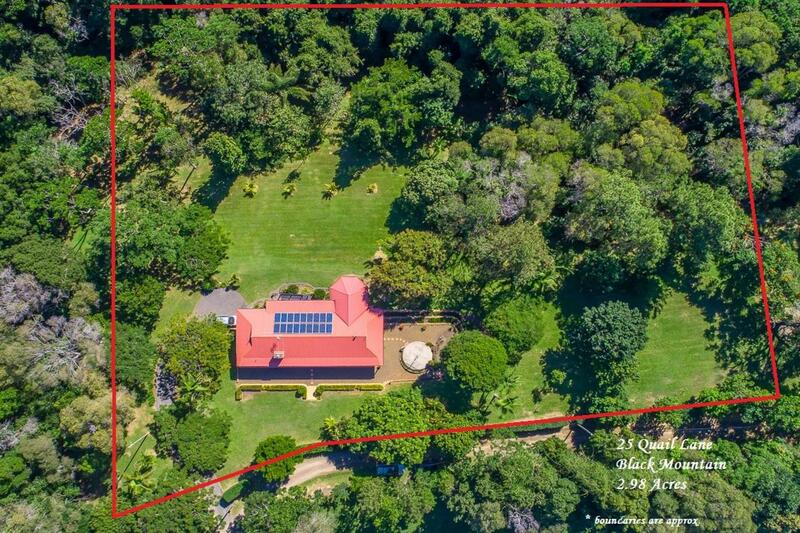 This immaculate four bedroom, two bathroom brick home sits on almost 3 acres of easy care gardens off a secluded lane shared with just three other homes. 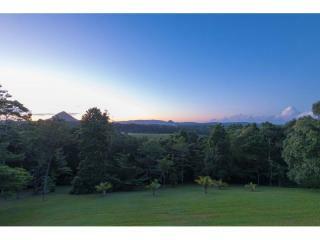 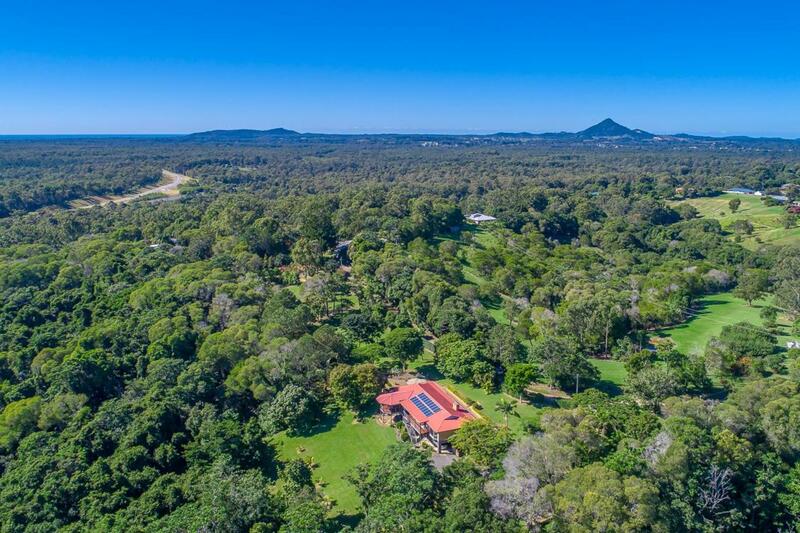 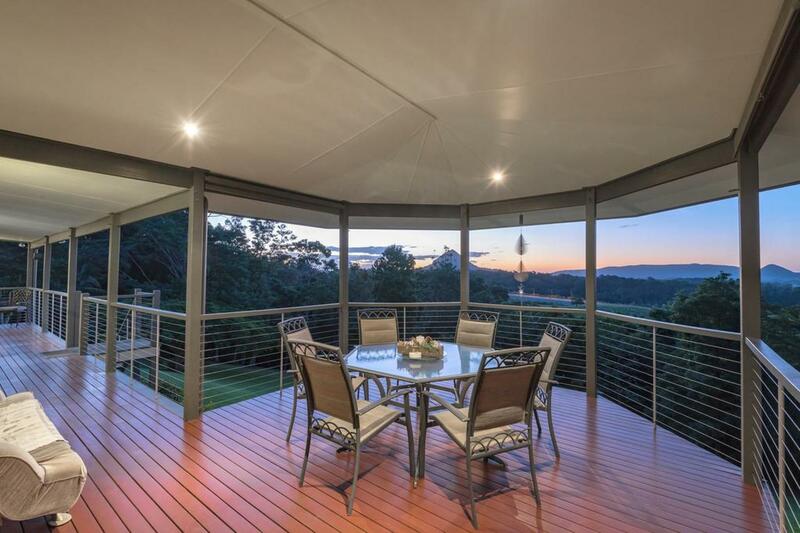 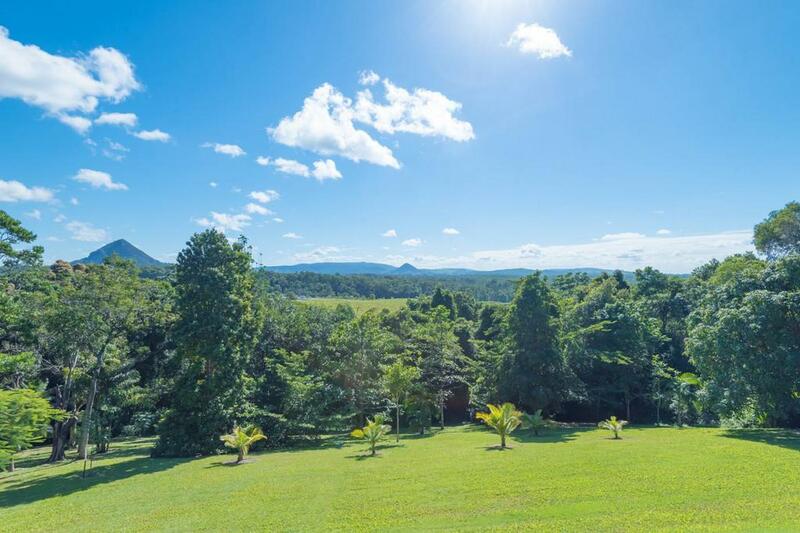 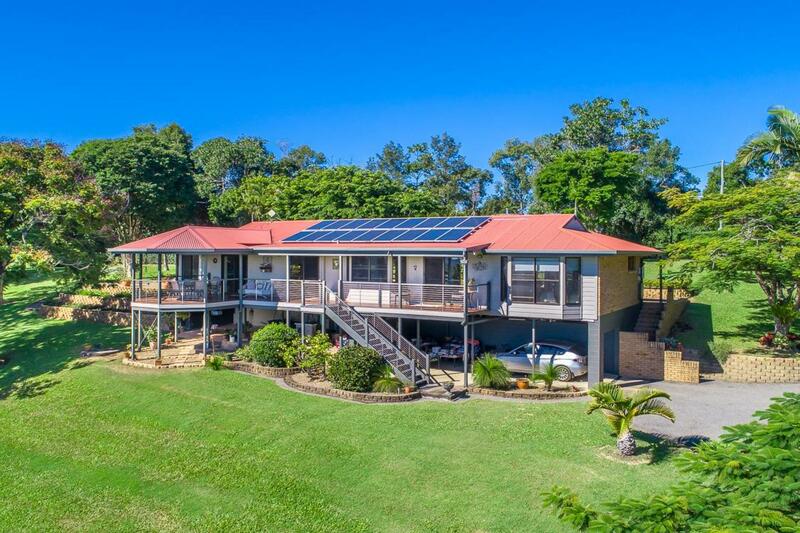 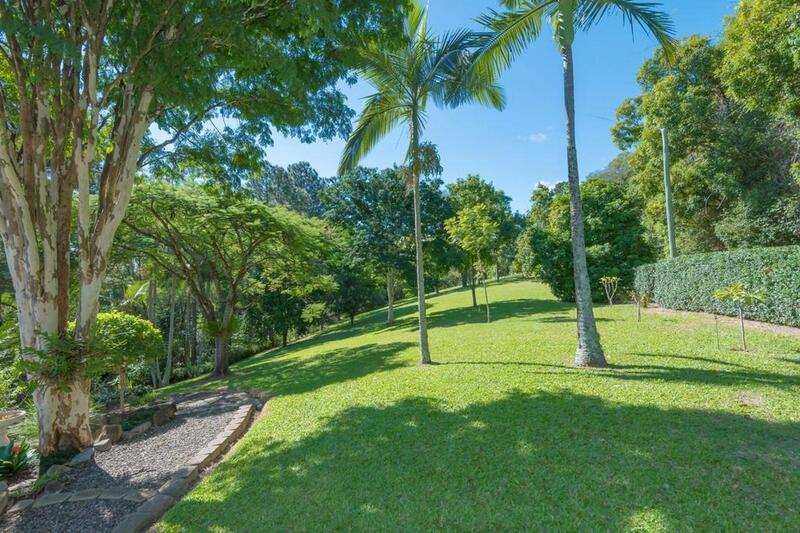 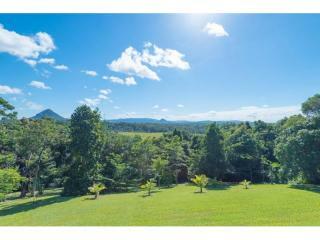 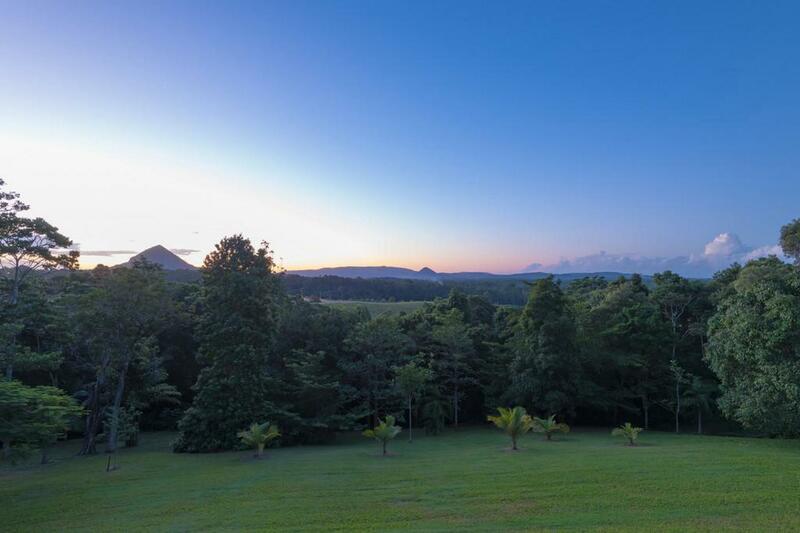 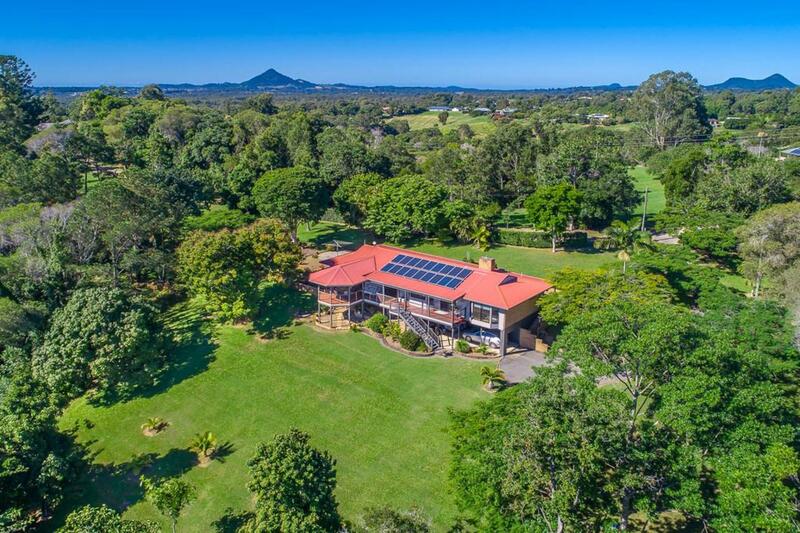 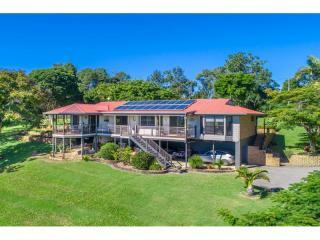 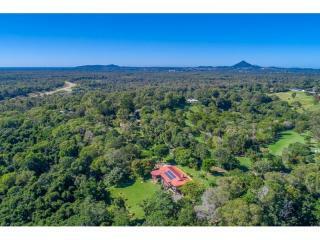 It enjoys magnificent views of Mount Cooroora, Mount Pinbarren and the Tablelands Range; has its own rainforest and receives wildlife visitors (quails included) yet, it is only five minutes from the bustling town of Cooroy, 20 minutes from Noosa's shops and beaches and an easy drive to the highway with the world beyond! 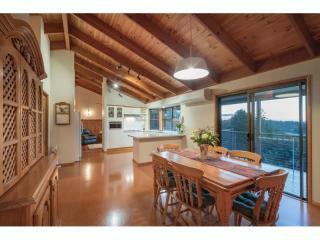 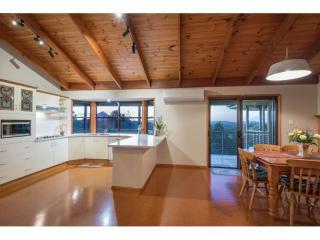 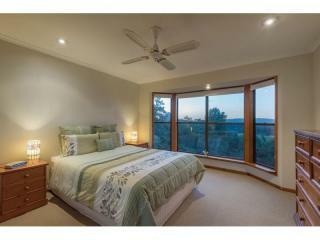 This attractive character home enjoys a sunny northerly aspect and quality features that have been lovingly maintained. 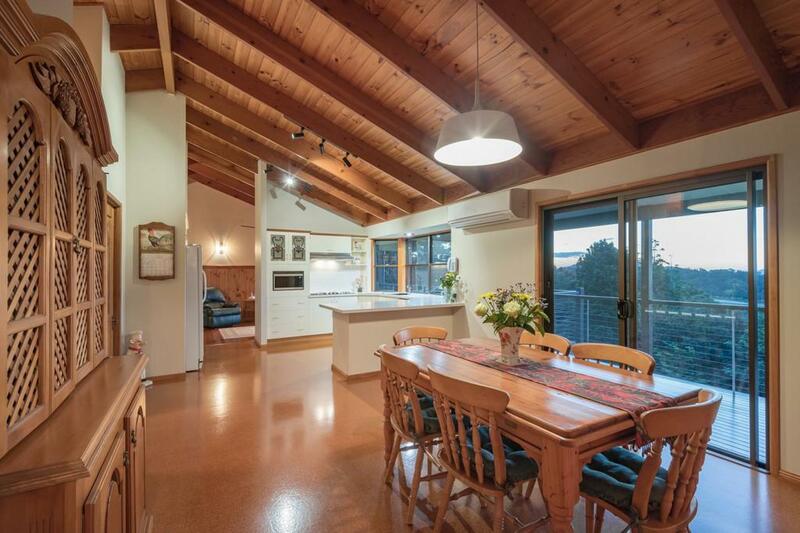 Raked timber ceilings, solid timber doors and timber and cork flooring add a feeling of warmth throughout the living areas. 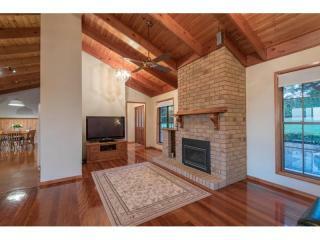 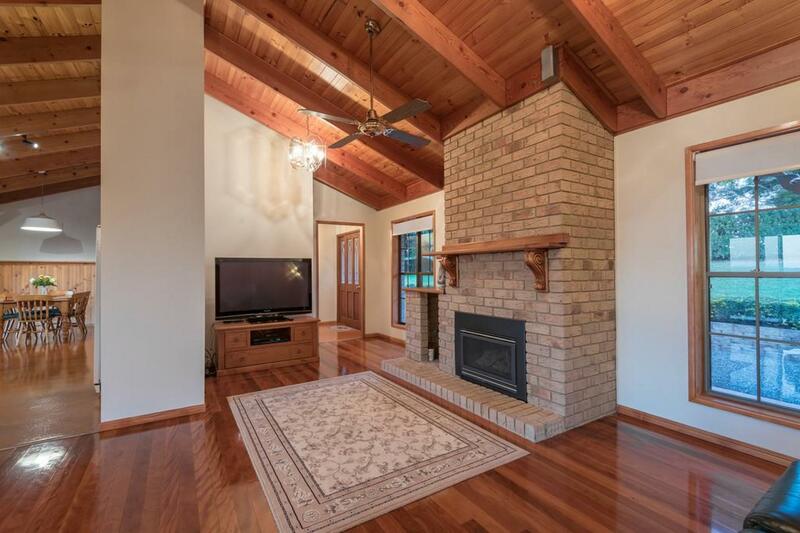 There is a gas fire place in the lounge and reverse cycle air conditioning in the kitchen and adjoining dining room. 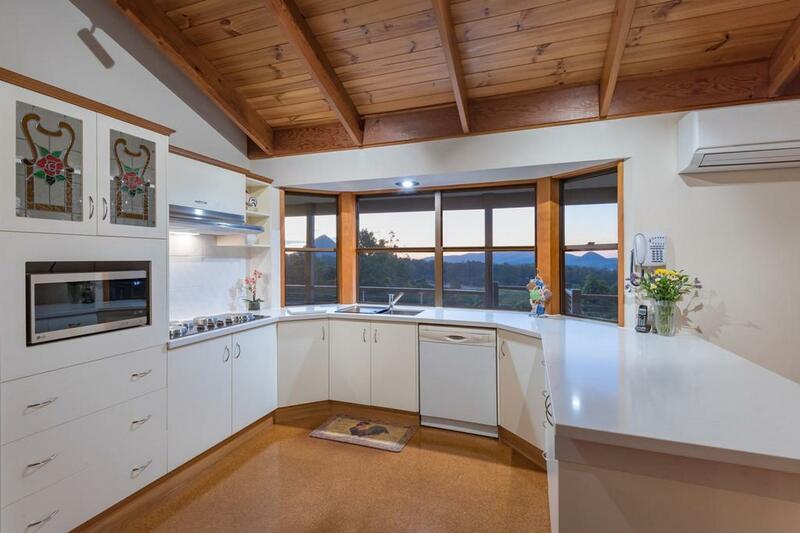 The kitchen is two years old and features white cabinetry, caesarstone benchtops, electric wall oven and stove top, a dishwasher and walk-in pantry. 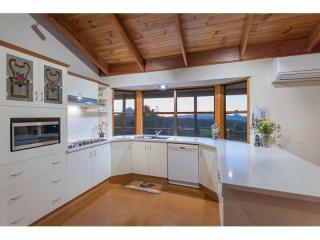 The fridge and microwave oven will be staying. 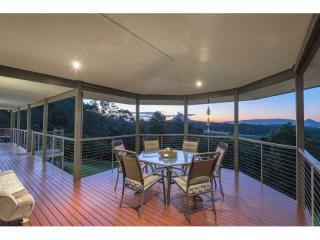 The dining room opens on to a long covered verandah with a rotunda at one end for dining and enjoying the stunning views. 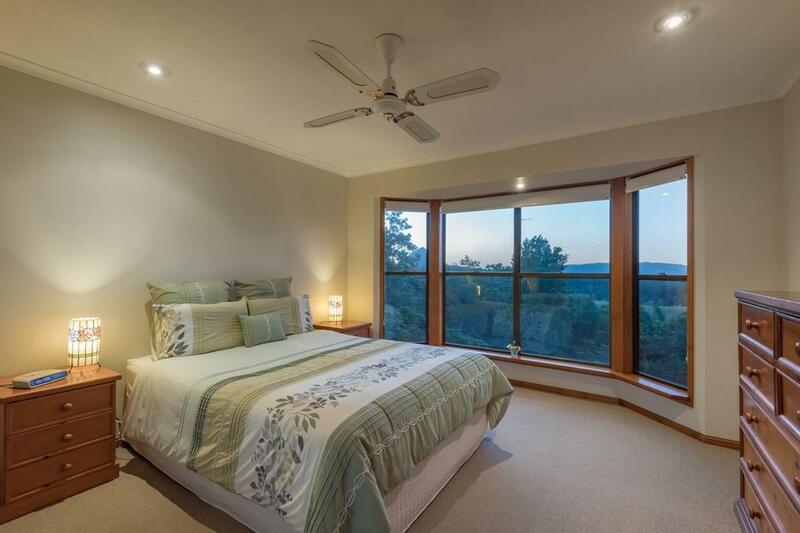 The carpeted master bedroom enjoys the same majestic mountain panorama from its bay window. 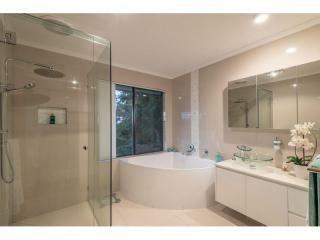 Mirrored sliding doors conceal a walk-in robe and a separate ensuite with shower, vanity and WC. 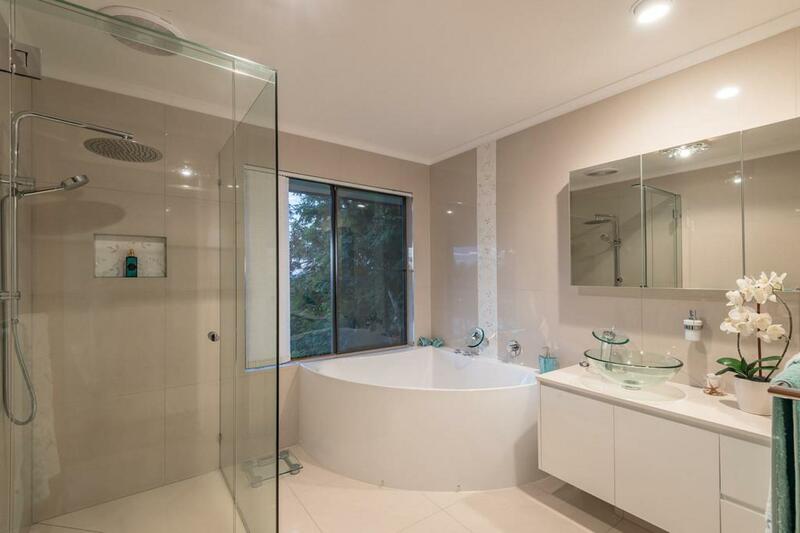 There are three other bedrooms all with carpet, fans and BIRs (one is currently used as a media room) and a brand new bathroom with corner spa bath, large twin head shower, Italian tapware and glass basin on the new laminate vanity. 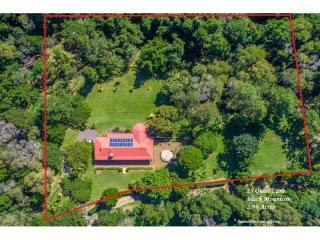 A new powder room is next door plus a large laundry which leads out to the garden with its magnolia and poinciana trees, orchids, lawns and hedging. 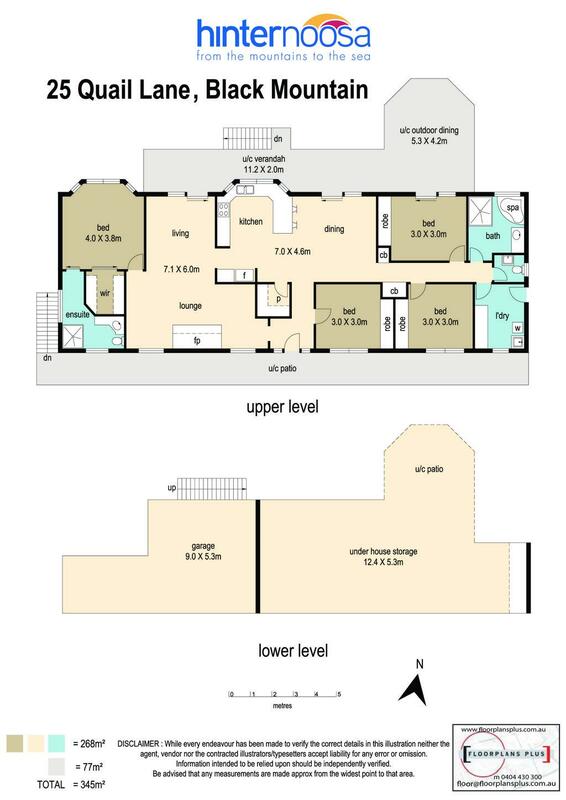 Underneath the house is space for two cars and a large storage/workshop. 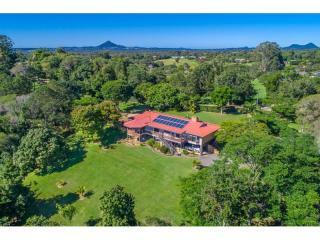 There is electric hot water, 2-phase power from 18 solar panels on the roof and two rainwater tanks of approximately 22,000 gals.